Aereo had been heralded by major tech groups as an innovative technology that opened up more choice for consumers, while the television industry maintained the service was simply theft of its programs. On Wednesday, the top court ruled 6-3 that Aereo illegally retransmits over-the-air television broadcast signals, dismissing claims that its tiny personalized antennas merely allow customers to watch or record what would be free TV programs. 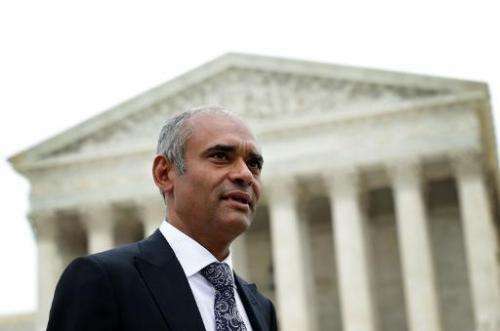 "We have decided to pause our operations temporarily as we consult with the court and map out our next steps," Aereo chief executive and founder Chet Kanojia said in a blog post under the headline, "Standing Together for Innovation, Progress and Technology." 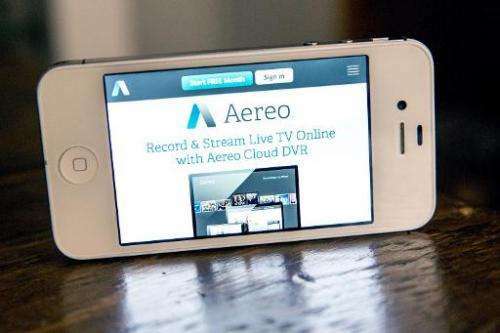 Reversing a lower court decision that had been in favor of Aereo, the Supreme Court sent the case back for further proceedings, which could determine penalties. Aereo, backed by media mogul Barry Diller, launched in early 2012 in the New York area and was immediately sued by the major over-the-air television broadcast networks—ABC, NBC, CBS and Fox—for copyright infringement. Even though consumers may watch broadcast television for free with their own antennas, a cable or satellite firm which retransmits to a larger group must pay fees to broadcasters. Justice Stephen Breyer wrote in the Supreme Court's majority opinion that Aereo effectively operates like a cable company and must therefore pay for broadcast rights. Breyer said the case "makes clear that Aereo is not simply an equipment provider" but that its "activities are substantially similar to those of the (cable) companies." But, countered Kanojia in his letter to users, "the spectrum that the broadcasters use to transmit over-the-air programming belongs to the American public." "We believe you should have a right to access that live programming whether your antenna sits on the roof of your home, on top of your television or in the cloud," he added. Funny thing is, while the broadcasters call 'foul' to a third party using their content, because of the extended reach provided by Aereo to reach a greater audience, the broadcaster's content's value was actually enhanced.